Please note that while you take off from JFK on the outbound, there is no layover in JFK on the return. There is a forced overnight in Frankfurt on May 11. Further details coming soon. PRICE OF HOTEL WILL BE included in the price of the trip. Croatia is a central European and Mediterranean country on the Adriatic Sea, there are 1,112 miles of coastline. 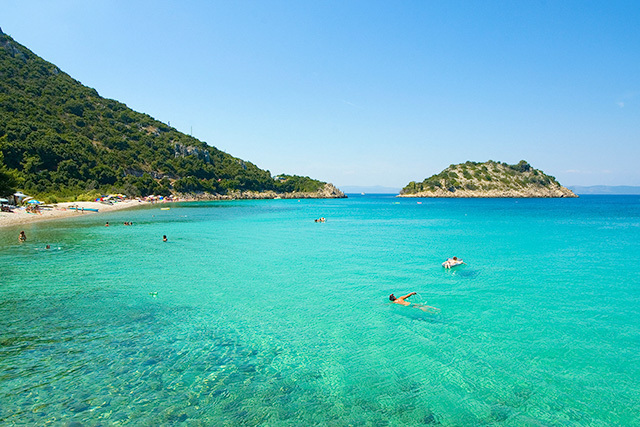 While there are 1,185 islands in the Adriatic, only about 50 are populated. It is one of the sunniest coastlines in Europe, with 2,600 hours of sunlight on average yearly! Flights will arrive in Dubrovnik mid/late afternoon. You will be transferred from Dubrovnik’s airport to Gruz Harbor. Meet your Cruise Manager later at an on-board Welcome Reception. This evening, you can relax or take a walk through Dubrovnik’s vibrant streets. We start the next day with a walking tour of Dubrovnik, then we set sail for Mljet Island, continue cruising to Korcula. overnight at Korcula and have a walking tour of Korcula. Set sail again and arrive late afternoon in Havar. Have a free evening to explore. Next day sail to Bol, , home to one of the best beaches in Croatia, the Golden Horn. Over lunch on board, continue sailing to Split and stop for the night. In the morning sail to city of Trogir. Free time to explore, back on board cruise to Sibenik with a stop to swim. Arriving in Sibenik, a walking tour, then enjoy dinner. The Sibenik area is home to two National Parks, Krka, with its breathtaking waterfalls, and Kornati, comprised of more than 140 islands. Your day is devoted to these scenic destinations before you sail to Sali. Tonight, enjoy a captain’s dinner on board. Cruise this morning, and take a swimming break if you so choose. Enjoy lunch on board, and later this afternoon you will arrive in Zadar. A walking tour shows you Zadar’s historical center with the defensive walls built in 16th century. Spend some time enjoying the streets of Zadar, and enjoy a delicious farewell dinner on board the ship tonight complete with live entertainment. Disembark after breakfast, bidding your boat and crew farewell. Depart Dallas and later connect in New York for your Europe-bound flight. Start the day with a walking tour of Dubrovnik, the “Pearl of Adriatic” and a UNESCO World Heritage site. You’ll visit the Rector’s Palace and Franciscan Monastery’s Pharmacy before returning to the boat for lunch. As you dine, set sail for Mljet Island. Mljet National Park encompasses five types of forest, many species of birds, and two deep lakes, Veliko Jezero (Big Lake) and Malo Jezero (Small Lake). After time to enjoy the spectacular scenery, continue cruising to Korcula, believed to be the birthplace of the explorer Marco Polo. This morning, a walking tour of Korcula takes you through its narrow, cobbled streets and includes a visit to the majestic Gothic-Baroque Cathedral of St. Mark. Board your boat for lunch and a swimming stop as you cruise. Late this afternoon, arrive in Hvar. On a sightseeing tour, see the first public theatre in Europe (older than Shakespeare’s theatre in the UK), the Franciscan Monastery and much more. Your evening is free in Hvar. You can explore more early this evening and then enjoy dinner. Sail to Bol, home to one of the best beaches in Croatia, the Golden Horn. This vast, golden pebble beach is unique in that it changes shape and position depending on the winds. Over lunch on board, continue sailing to Split. Here, a walking tour shows off the historic inner city, built around the Roman Emperor Diocletian’s Palace, a UNESCO World Cultural Heritage site. See the remnants of Split’s Roman heritage, its Renaissance and Gothic structures, Jupiter’s Temple, the Peristyle, and the Cathedral. In the morning sail to the UNESCO-listed city of Trogir. Your time here is free to explore on your own. Back on board, enjoy lunch as you cruise to Sibenik, with stop on the way for a swim. Arriving in Sibenik, a walking tour shows you the highlights, then you will enjoy dinner with the group. Proceed by motorcoach to the enchanting resort town of Lake Bled, stopping at a local restaurant for lunch on your way while you cross the border into Slovenia. You will see some of the most beautiful Slovenian Countryside. Head to Ljubljana, the capital of Slovenia. See the most significant sights of the old city center on a walking tour. Highlights include the picturesque open-air Central Market, the Three Bridges, Baroque Town Hall, and Robba's Fountain. Then, continue to Bled, beautifully set in the Julian Alps. Spend the first night in Bled. Today tour to the other Alpine beauty, Lake Bohinj, enjoy a relaxing walk along the lake shore and take a cable car to Mt. Vogel, from where you will admire the stoning Julian Alps. Before returning to Bled you will visit the Shepherd’s Museum and taste some of the best Slovenian cheeses. The remainder of the day at leisure. An Alpine lake surrounded by high peaks, Bled was “discovered” by travelers in the middle of the 19th century. Since then, a small town of hotels, villas, and restaurants has developed around the lake, turning Bled into a lively, all-seasons resort. A sightseeing tour features the charming town and the lakeshore and visits imposing Bled Castle, perched on a cliff high above the lake. Board a boat called “Pletna” and visit the small island in the middle of the lake Bled. Return to shore and enjoy some time on your own. Next you will be escorted to a nearby quaint medieval village of Radovljica. Enjoy a walk through the old section of the town and then savor dinner in typical Slovenian restaurant, housed in a 500 year-old building, serving sumptuous Slovenian traditional dishes. (photo below). After breakfast, you will be transferred to the airport for your flight home. Spend the night in NY. After a night at a hotel nearby JFK, you will return to Dallas this morning. There is a forced overnight in NYC on May 14. Further details coming soon. PRICE OF HOTEL WILL BE included in the price of the trip.